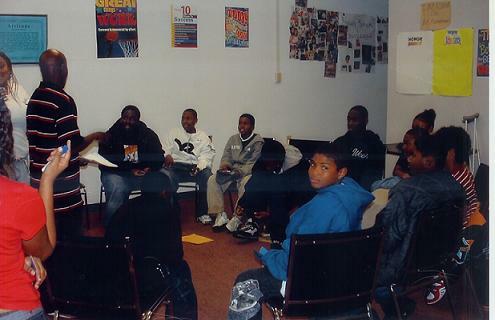 Enrichment - Enjoyment - Excellence are E-trademarks of the Youth Motivational Learning Center in Cincinnati, Ohio. YMLC provides Free after-school Tutoring and Mentoring Services to help our academic at-risk 6-12th graders increase their "untapped" potential and achieve more from an academic and personal point of view. YMLC has a focus on young African-American males, but offers a fun and safe place for all students to go after school for homework help, enrichment, and developing skill for life. YMLC is committed to "Making a Difference" one student at a time, and share a core belief that Everyone Can Learn! To increase students' overall academic achievement, with a focus on Science, Technology, Engineering, & Math (STEM). To develop skills in Community youth and under-served adults -- Job Readiness & Closing Digital Divide Gaps. With students' help, we publish the YMLC SCOOP4U, a monthly newsletter that we use to keep our families up to date on the latest education news and activities.